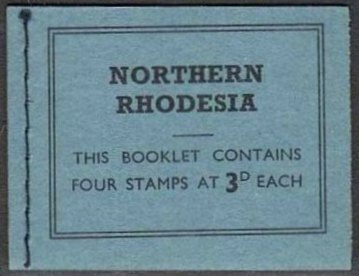 CHRONICLE, BYO. 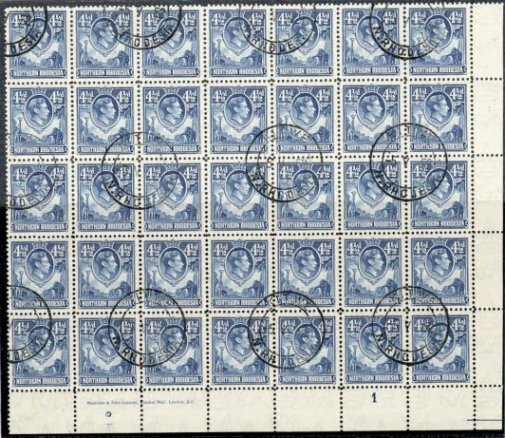 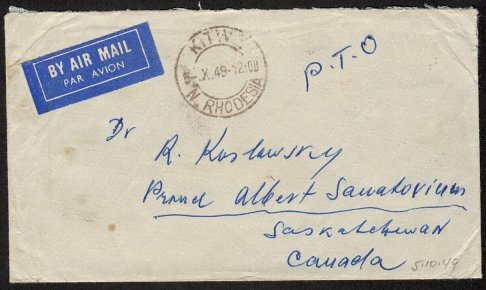 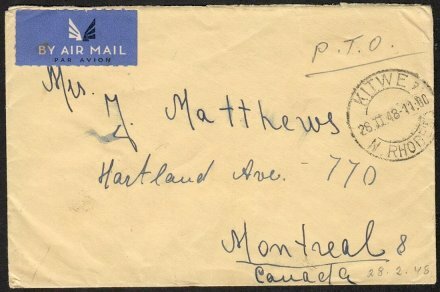 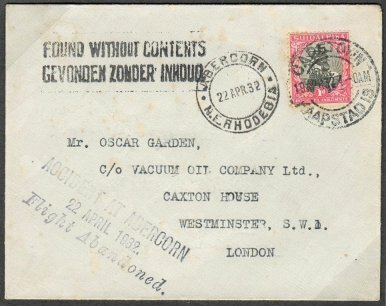 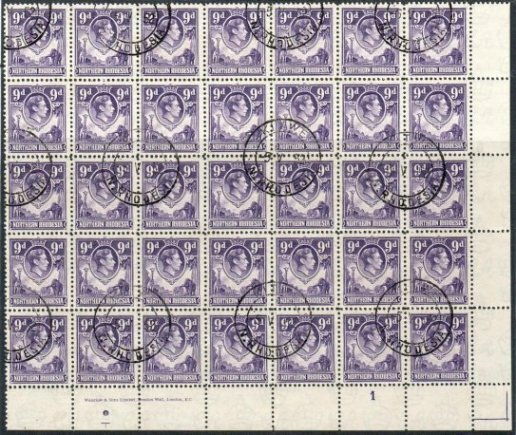 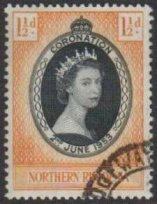 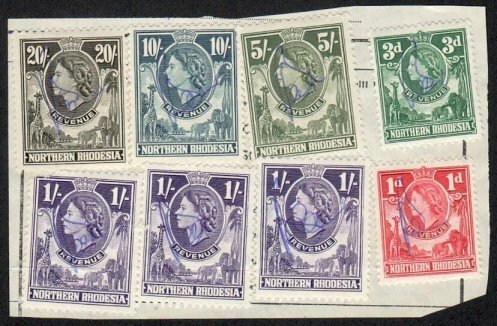 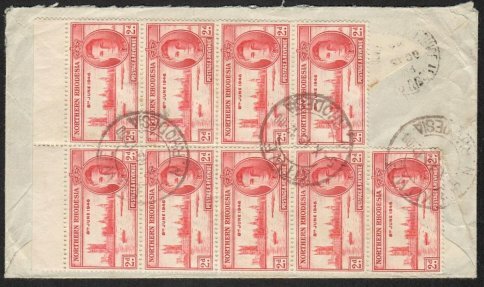 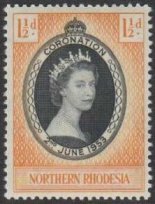 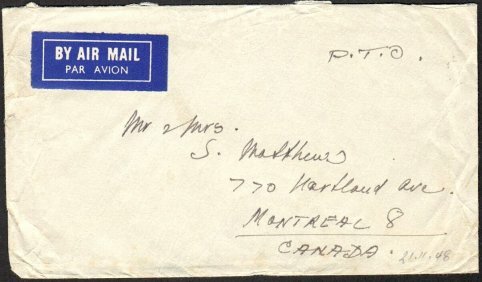 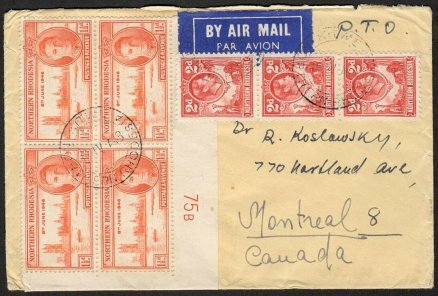 – 84720 – 6/6/45 - I have owned this card for many years and it remains the only example I have ever seen. 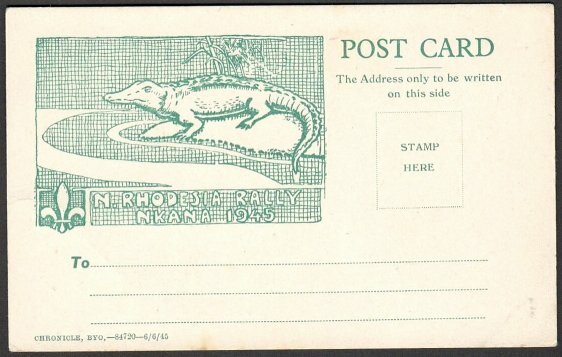 It is a nice thematic item that would please any collector of Scouts or Reptiles. 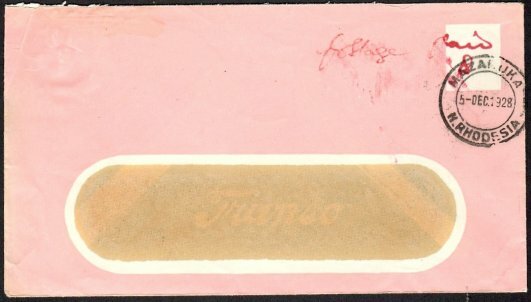 I showed this item to an American dealer who has a vast scouting collection and his only comment was that he had not previously seen this card! 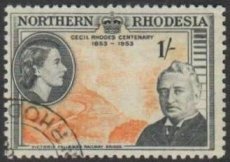 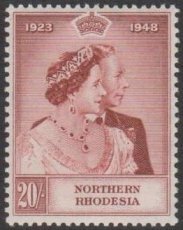 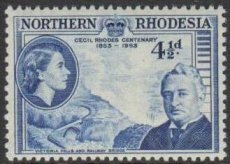 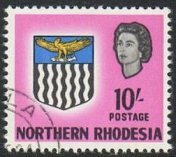 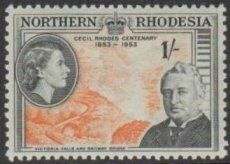 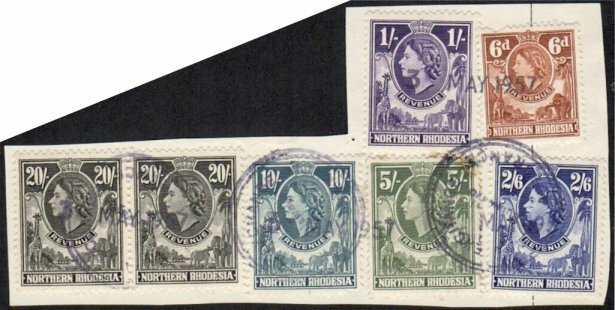 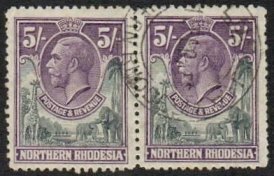 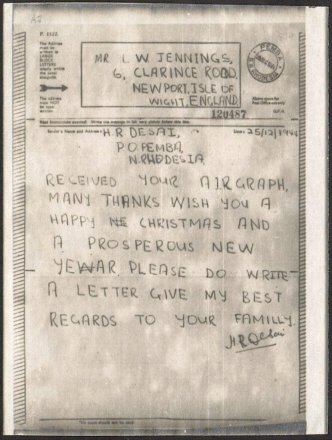 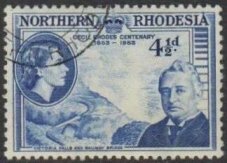 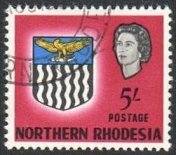 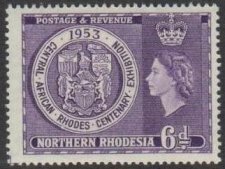 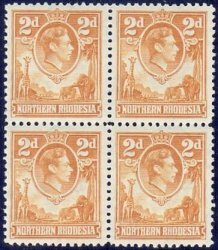 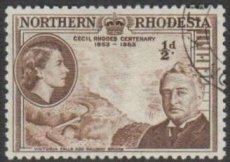 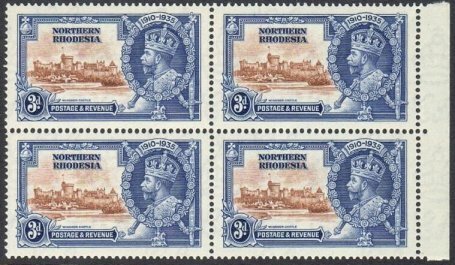 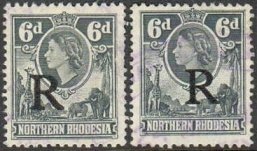 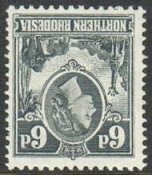 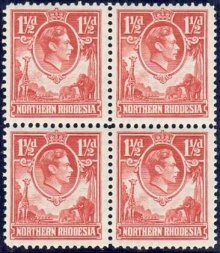 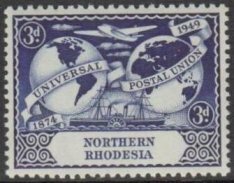 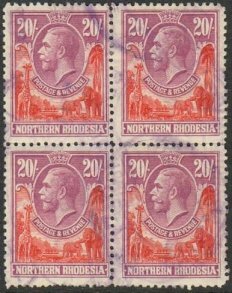 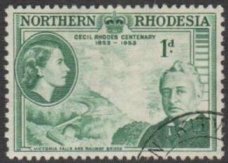 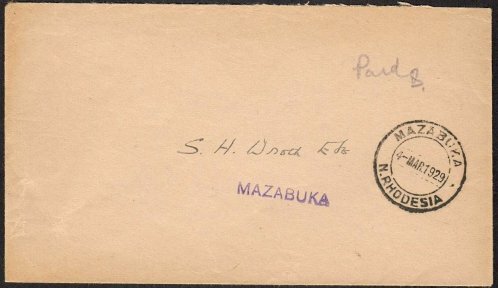 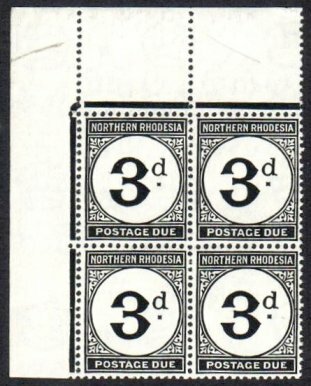 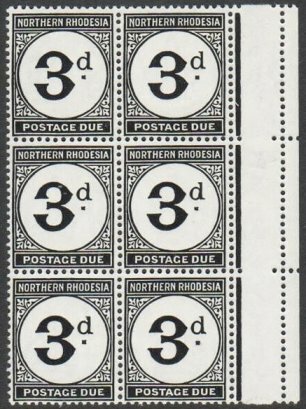 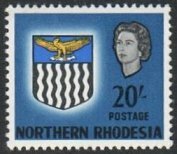 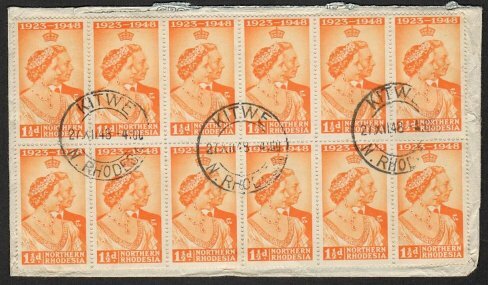 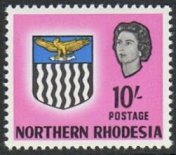 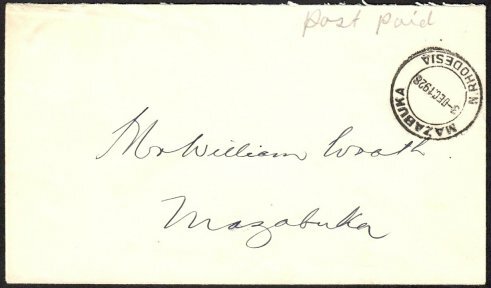 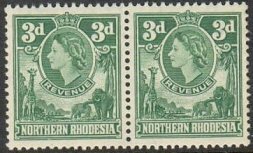 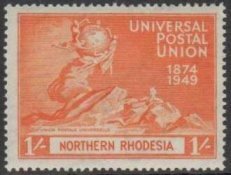 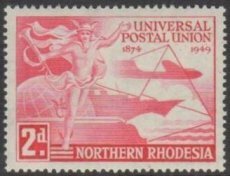 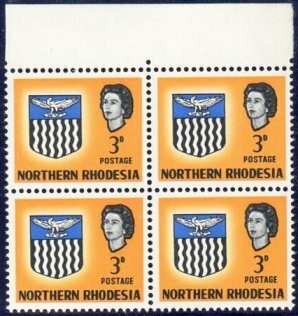 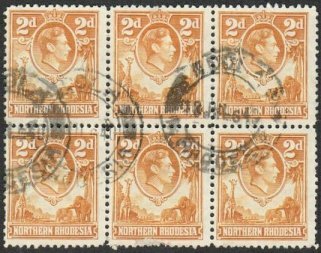 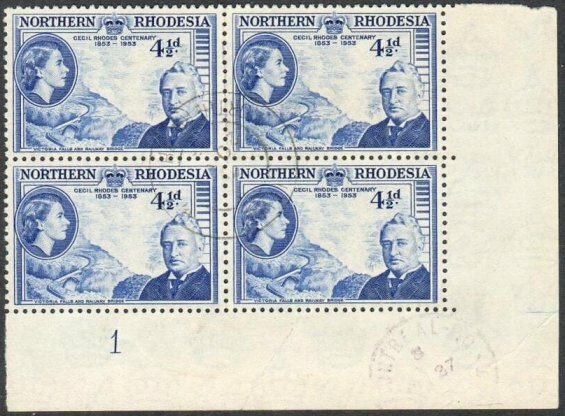 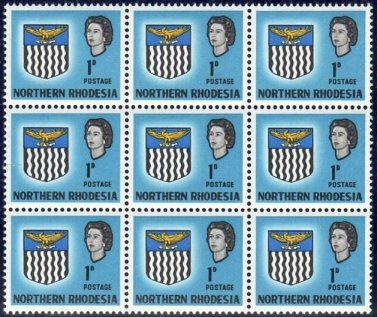 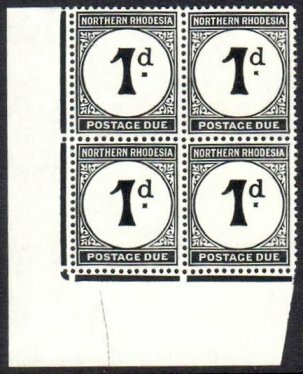 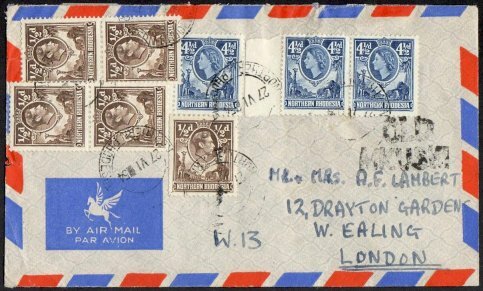 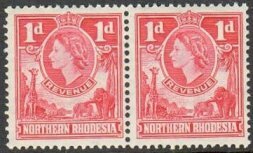 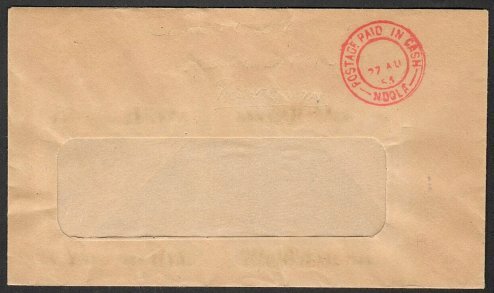 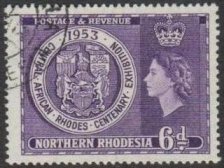 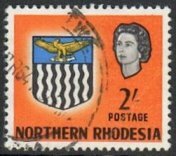 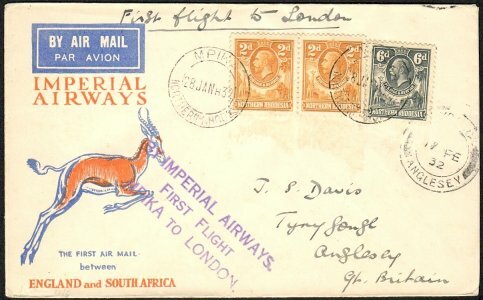 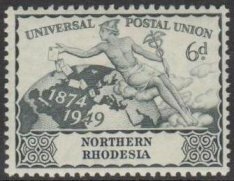 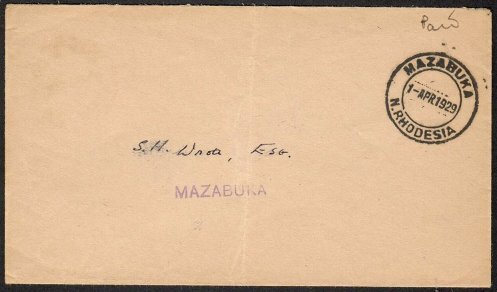 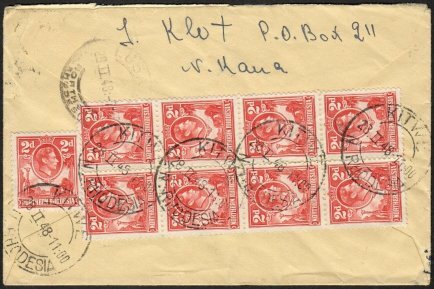 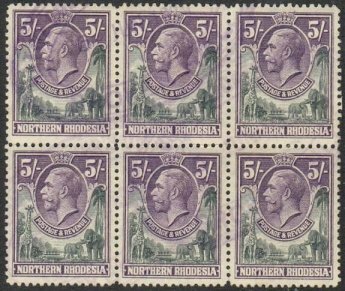 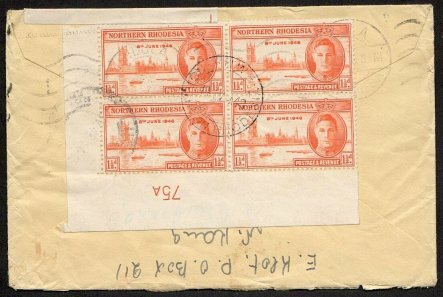 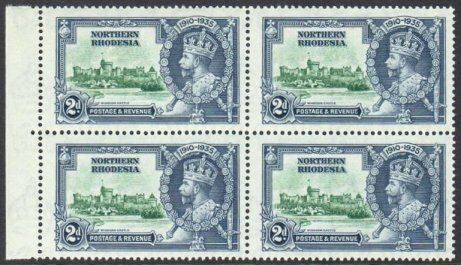 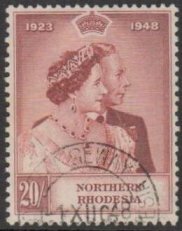 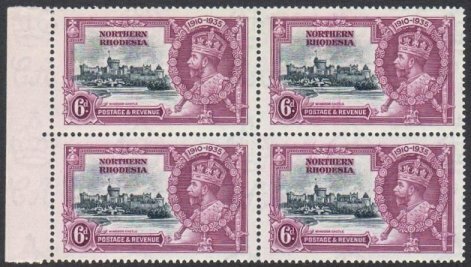 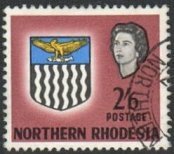 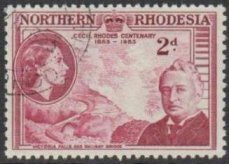 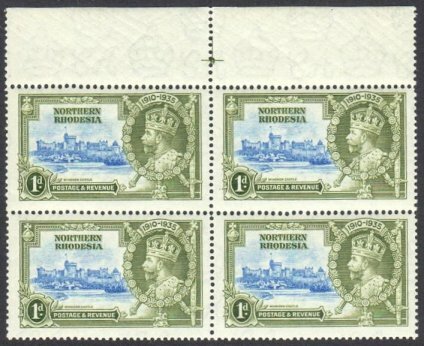 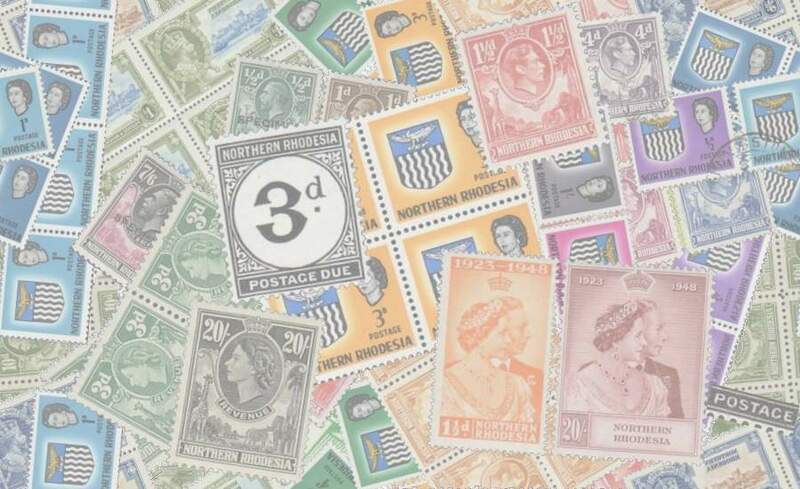 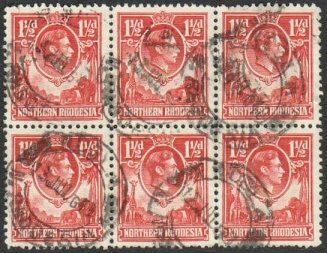 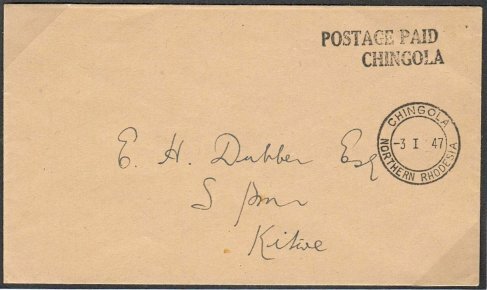 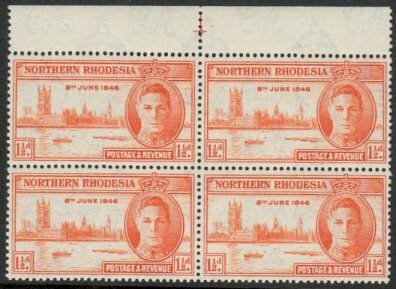 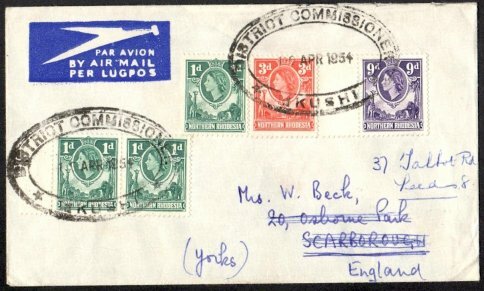 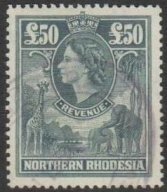 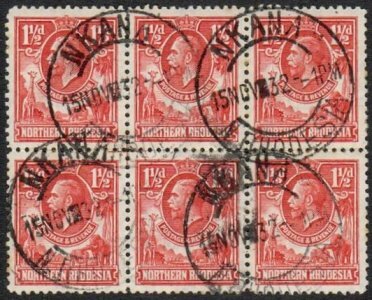 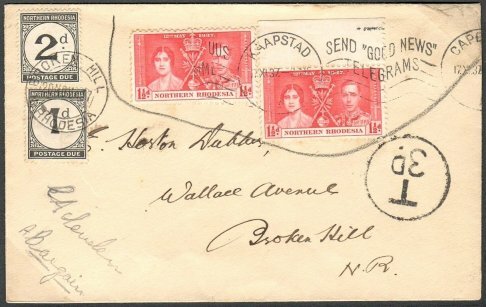 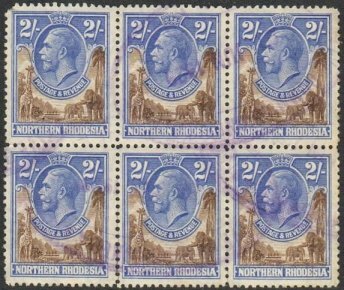 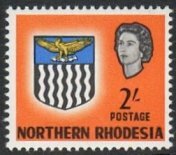 Two line handstamp ‘POSTAGE PAID CHINGOLA’ and used it on mail, in lieu of postage stamps, for a short period.